With last night’s loss at Assembly Hall, Tom Crean’s Hoosiers have now lost five of eight and his postgame comments were a lament of shots that didn’t fall. Indiana lost a basketball game to Purdue last night at Assembly Hall that dropped them to 8-6 in the Big Ten – one-half game ahead of two teams tied for seventh. Crean’s comment about shots not falling reminded me of former football coach Bill Lynch telling me before his final season as coach of the Hoosiers that his team’s previous season was only 12 positive plays from a Big Ten Championship. Desperate thoughts in desperate times for desperate men. There was nothing wrong with Ferrell’s fight last night as he scored 21 points on 15 shots and chipped in five boards and four assists. In fact, Ferrell was one of only two Hoosiers with more than one rebound. So often basketball games are not determined by the what and where, but the how – and how hard. Fans didn’t need to know the difference between a 1-3-1 zone from a man-to-man to see that Purdue simply played with more fight and passion last night when both seasons were on the line. The size advantage for Purdue was also a huge (literally) problem for Indiana as centers A.J. Hammond and Isaac Haas combined for 32 points, 14 boards, and four blocks (all Hammons) compared to 10 points (all Hanner Mosquera-Perea) two rebounds, and three blocks for Mosquera-Perea, Collin Hartman and Emmitt Holt. But that wasn’t about size as much as it was toughness and desire. With four games left for both of Indiana’s Big Ten teams, the Boilermakers and Hoosiers are headed in decisively divergent directions. Both teams play Rutgers next – Indiana travels there Sunday afternoon, and Rutgers visits Mackey Arena next Thursday. Both need a win to continue to be seen as a potential participant in the NCAA Tourney next month. While the RPIs for both reflect their recent play (Indiana’s ranking dropped last night from 28th to 34th while Purdue bounced from #69 to #58) the BPI is a little better calibrated to measure current quality of play (Purdue passed IU as it jumped to #40 while IU dropped to #43). What all of that means beyond being ranked higher is better, I don’t know. Playing winning basketball requires teams to play hard and together, and Purdue has done that much more often than its opponents recently as they have vanquished seven of their last eight foes. Indiana is 3-5 over that same span. Last year’s shutout for Indiana teams in March Madness won’t be repeated this season, but it remains to be seen exactly which teams will join Notre Dame and Butler in the Big Dance. Last night’s game brought a little additional clarity, but the final four games and the Big Ten Tournament will seal the deal one way or another for both the Boilers and Hoosiers. All that’s certain is that wishing missed shots had dropped isn’t going to help Indiana beat Rutgers Sunday at 5:15p. Invitations for teams like Indiana and Purdue will be reserved for the toughest teams who have a clear vision that 40 minutes of focus and fight need to define their effort because that is how you win basketball games. And then the report card for Indiana, Purdue, and every other team in college basketball will be issued. Last night was a quiz for both. Only after the entire body of work is evaluated can an overall grade for the programs be known. Right now, Purdue’s consistent effort has Matt Painter’s stock on the rise. 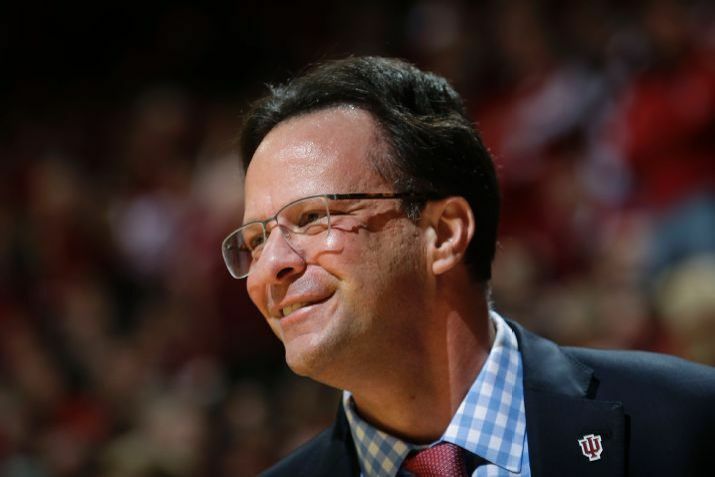 Indiana losing five of eight has Crean wishing shots had fallen. This entry was posted in College Basketball, Featured Story, Indiana Basketball, Kent Sterling, Purdue Basketball and tagged Big Ten standings, Fire Tom Crean, Indiana Purdue, Indiana RPI, Indiana Rutgers, Matt Painter, Purdue RPI on February 20, 2015 by Kent Sterling. Tom Crean AKA Harold Hill. Excellent, I can’t stop laughing!! Good piece all round Kent. IU’s RPI is inflated, imo. RPI is one measurement, but it still includes bias. To test my theory, I studied RPI a lot early this season. For example, after MICH lost to NJIT and Easern. Mich at home, Mich.’s rpi was 13….13! Flor was 4-4 and had an rpi of 12. So, I take it with a grain of salt. IU has TWO road wins this year. I don’t look at this team as highly as the rpi does, I guess. But, you’ve said it all season. This IU team will make you change your mind about this a gazillion times. I thought, for sure, they win at home last night. Meanwhile, PUR’s hole they dug was so deep, they need to keep winning. And the non-conf can’t be ignored. We don’t ignore quality out of conf play, so we can’t ignore horrible out of conf. play…and that includes the conf. as a whole. After last night, the rest of the season is going to be about Crean and not the team. IU will probably still get into the tournament, but doesn’t have the heart to go very far. If they don’t make the tournament, the writing is on the wall for Crean. However, I am not so sure just MAKING the tournament is going to be enough to keep him. Stay tuned, I guess. Why do the hoosiers continue to drive the lane against superior height when they can shoot the 3 so well. I really don’t understand the method of creans insanity. Just do what you do guys. The drives help collapse the defense, and allow creases in the exterior defense to open. Makes them tough to defend. The offense is fine most games. Trouble lies within the defense. Even I can see that attacking Blackmon off the dribble is almost always successful. Weak side defense is, well, weak. BREAKING NEWS: purdue university has erected a life size statue of tom crean at mackey arena.early accounts claim the statue is of a downtrodden crean staring blankly at the ground holding a suitcase and a bus ticket. 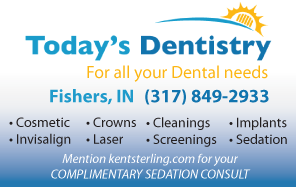 According to the Indy Star today, Jim Morris, President of the IU Trustees says we are doing a great job. Reminds me of the story of the president of the dog food company who kept insisting his dog food was the best in the world, even when sales were down. Then a guy on the production line says, the dogs don’t think our dog food is the best! I guess the top brass are now setting it up to not take the fall for Tom Crean. It’s not their fault. (ref. Indy Star article (last sat.) about great the IU Athletic Dept. is doing. I think IU should clean house!!!!!! I agree with Jim Morris. Fred Glass has done a very nice job. Lots to undo when he got to Bloomington, and now a lot to do to try to catch up with competition. Basketball is the one area of serious concern. Football is moving forward, and my only change for football would be to serve beer at the stadium. Getting students to leave their tailgate to enjoy the game without the promise of beer is not going to happen. Please be specific, so I know how the programs has progressed over the last 10 years. Football (the biggest revenue sport) was last in the big ten in standings and almost last in attendance last year. Basketball didn’t make the NIT last year. How is that improvement. When I went to IU (30 years ago) We almost always beat Minnesota, Northwestern, Michigan State and Iowa. I had an high school English teacher who sarcastically didn’t gives F’s, but she said she gave a lot of student’s D’s for effort! Football has moved forward in ways that have not brought wins. Sadly, the injury to Sudfeld cost the Hoosiers in 2014. Wilson is recruiting at a higher level, and the depth has improved every season. They are closer to the tipping point than any time in 20 years. Will they ever get there? I think they will show great improvement in 2015. As for basketball, Indiana is where it is. I GUESS YOU CAN’T FIX STUPID! Hey, Indiana finally embraced daylight saving time a few years ago. One step forward per decade is better than none. Unsure what problem the Sunday ban is designed to sure, but if it requires people to buy on Saturday for Sunday, what the hell? I’m waiting for the full schedule to be transacted before casting judgment on the IU Basketball program. But they even screwed that up. Anyone with a map and is willing to look outside in the morning or late at night can tell you that we should be in Central time. Ridiculous that we are aligned with New York instead of Chicago. But, we digress. As a guy who plays golf, I love being in the East. Being able to play until after 9p is paradise. What the hell do I want with an extra hour of daylight starting at 4:30a? The problem IU fans can’t see is that everyone else is progressing and we can’t keep up. Just like the state of Indiana. And I exaggerated slightly. Sunrise in Indianapolis would be 5:16a at its earliest in central time. The latest sunset is 9:16p in ET. I would much rather have daylight from 8:16p-9:16p ET than 5:16a-6:16a – an hour during which I am never awake. Don’t forget this Sunday at 2a, we turn the clocks ahead one hour in the State of Indiana’s effort to drive you nuts. do the players respect crean? do the players like crean? do the players trust crean as a coach? Impossible to get former players to open up on the record about Crean. Off the record, the reports are not those any coach would want to hear. what are the off the record reports? I don’t want names or eras other than the general opinion of iu players. heck just throw a few adjective out there. I don’t even need complete sentences. They are not positive. In fact, relentlessly negative – both at Indiana and Marquette. Not unusual though. There are few coaches about whom former players have a bunch of good to say. how negative? where could I find such information to read? You likely couldn’t. Only across a table with a promise not to repeat anything have I heard those things. More than anything else, reading between the lines when guys are asked will provide answers.